Asus to launch Asus Zenfone Series in India – Buoyed by burgeoning Indian smartphone market, Taiwanese manufacturer Asus is all set to enter the segment with its ZenFone range next month. The company will introduce on July 9 a number of smartphones, phonetabs and tablets in the country, including ZenFone models unveiled at this year’s Consumer Electronics Show (CES) as well as Computex. This will mean Asus will have a device at every size ranging between 4, 4.5, 5, 5.5 and 6 inches, and above. ZenFone 5 also comes in two processor options: 2GHz dual-core Intel Atom Z2580 or 1.6GHz dual-core Atom Z2560. 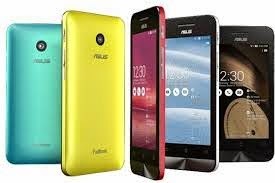 On the back, it has an 8MP camera with LED flash, while a 2MP camera is placed in front.It is expected that these models will be positioned in the sub-Rs 25,000 segment and aimed primarily at budget to mid-range buyers. Asus already sells its PadFone and MemoPad voice calling tablets in India, but not the ZenFone series, which was introduced globally this year only.